3 Beds 2 Baths 1,627 Sq. ft. Located in the desirable and quiet Hatton Chase, less than a mile away from I95, 9B, Baptist South Medical Center, Starbucks. 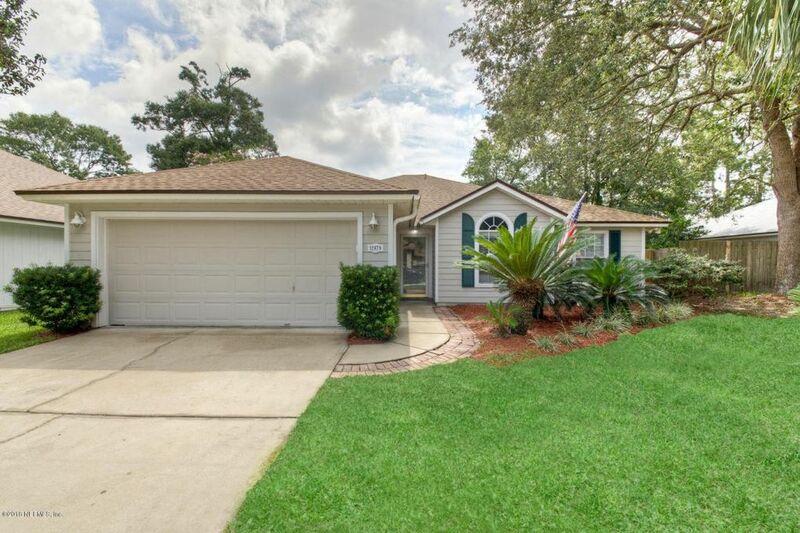 2 miles from Publix, restaurants and shopping.Roof & HVAC new in 2014. Recently renovated kitchen and bathrooms include new granite countertops and backsplashes. New luxury vinyl plank in main living areas, and new carpet in bedrooms. Fresh paint inside and out. Wood burning fireplace. 450 sq ft back porch. Directions: Take I-95 to Old St Augustine Rd and head east. Subdivision is less than 1 mile on left.